So you own a home in Tallahassee that's worth more than $500,000 and you want to get it sold. Whether it's luxury homes for sale with land or even luxury homes for sale with indoor pools, this segment of the market is not immune to the law of supply and demand. When you look at the supply and demand of luxury homes for sale on Zillow, you see far more sellers than buyers. Worse yet, nearly half of today's high-end buyers are choosing to build a home, even though there are scores of existing homes for sale that they could purchase for far less than they can be built. 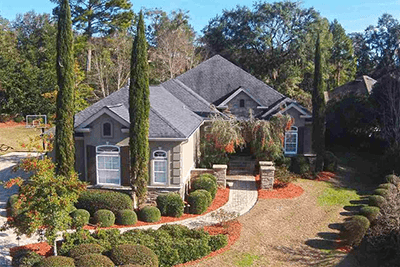 Last time I pulled a report on the supply and demand for homes priced $500,000 to $750,000, I found 11 months of supply of homes that are currently listed for sale in the Tallahassee MLS. 11 months! That means if nobody lists a home in this price range over the next year, we still have all the half-million dollar homes that buyers will need. And you know that there are more coming onto the market every day. On top of that, there are 20 months of supply of homes over $750K, and many of them will be dropping their prices to join the $500K to $750K price range. Do you think that merely hiring any real estate agent, putting a sign in the yard, and posting a few ads is all that it takes for you to out-shine your competition and attract a buyer? Remember, sellers outnumber buyers right now, so you have to execute a luxury home marketing plan perfectly. 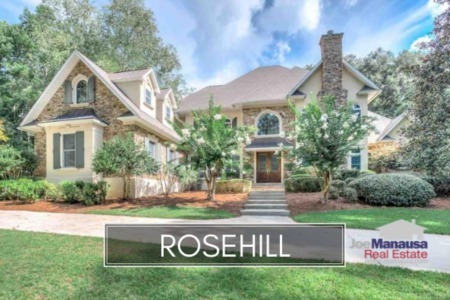 We recently sold a fairly expensive home in Tallahassee (fast) and the experience should serve nicely on how to explain the best way to sell a high priced home in today's housing market. 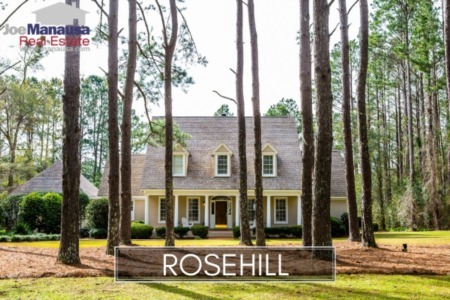 We received more than one offer in the first few weeks, and the home sold for $545,000 (a price that puts it within the top 3% of the Tallahassee real estate market). So while more than 50% of the homes in this price range will fail to sell this year, our home seller was able to plan and accomplish a move that fit his schedule perfectly. So how did we do it? The company sold the home - Our slogan at Joe Manausa Real Estate is "why work with an agent when you can hire an entire real estate company?" ... and we mean it. Real estate agents at other companies are independent and must execute far too much of the luxury home marketing plan on their own, and they simply cannot do what we do. Why? Because there is more than one of us executing the plan. Exceptional knowledge of the local market - Other than choosing the real estate company to market your luxury home, the most important decision a luxury home owner will make to ensure that she gets the most money for her home is determining the absolute best initial asking price for the home. This is not something done purely with "agent experience," it needs to be supported with a critical analysis of the luxury home market. If you choose a price too high, you will not attract the buyer that will pay you the most for your home. If you price it too low, you could end up leaving money on the table. The "right price" will get you the most money, and it takes superior market knowledge to determine that price. Honesty & Integrity - You need impartial advice, not some slick salesperson just telling you how nice your home is. Face it, your home is a commodity, and when you want to sell it, it must compete in a market that is ruled by supply and demand. All of us get emotionally attached to our homes (and rightly so), but when it comes time to sell, it needs to be evaluated in the market in which it will compete. Too many high end home sellers fall prey to sales people who take advantage of the seller's emotional tie to the home, and that is why they fail to sell (and end up with less money for the home). As an Eagle Scout and graduate of West Point (as well as the son of Mary Lou and Trent Manausa), I can assure you that my company will tell you the truth and give you the advice that you need to make the best, informed decision. Multi-Channel Targeted Marketing Campaigns - Homebuyers are using the internet, and luxury homes that do not have an internet-based targeted marketing plan will not generate the buyer activity required to get top dollar for a home. Remember, an agent that tells you "it just takes one" buyer to get your home sold has no clue about what it takes to sell for top dollar! We need to increase the size of your buyer pool if you want them competing for your home (the environment required for you to obtain top dollar). The best buyer for your home is one who understands somebody else also wants to buy it. Our home selling plan ensures we reach the full market for your home. Aerial Photography - You can argue that aerial photography is not required to sell a high end home, but consider this. 94% of the prospective buyers for your home are going to eliminate it from their list of homes to visit while shopping online unless it really stands out among all others. Nobody wants to go look at every single home on the market, so yours has to truly stand-out from the competition. This means that all of the photography must be first-rate, creating a compelling image of the type of home that today's wealthy consumer wants to buy. An aerial tour of the grounds is just one (critical) element of our luxury home marketing plan that helps you stand-out from the crowd. Remember, the majority of luxury homes listed for sale today will not sell with the first agent hired for the job, you do need to be different. Top Home On The Property Search - Did you know the average property search performed on the internet yields 200 to 250 results? This means that a prospective buyer puts criteria into the property search tool, clicks on a button, and the search tool tells the buyer that 200 homes are "listed below" that meet their needs. Just how many of those homes do you think the buyer views before a new search is performed? Our research shows that they look at 11 homes ... so if your home was not among the first 11, it will not be viewed. Worst of all, your real estate agent likely does not understand this. You will receive a wonderful, glowing report that your home appeared it 500+ home searches ... when it fact it was rarely every seen by any of those buyers doing a search. But we understand how the property search tools work, and homes listed with our company show up on top (and we show you how we do this when we interview for the job of selling your home). If you are not on top of the search results, you will not be seen. If you are not seen online, you will not be visited in person. And if you want top dollar for your home, you need luxury home buyers visiting your home for sale. Immediate Response To Interested Buyers - When buyers have a question about your home, it is critical that your real estate company reply immediately or they very well could lose interest and move to any one of the many homes for sale in Tallahassee. So how fast is fast? Well, a study performed by MIT for the purpose of measuring the importance of lead response times found that the odds of contacting a lead (prospective buyer) dropped 100 times if the call was made in 30 minutes versus 5 minutes after the online inquiry was placed. Simply put, your real estate company has a 100 times better chance of reaching the prospective buyer if they return the call in 5 minutes versus 30 minutes! But do you know what the average response time is for a real estate agent in the US? One survey found that it took, on average, 54 hours for real estate agents to reply to an inquiry left online. When you list your home with an agent instead of a company, you just cannot expect to be served with an immediate response system. Top Of The Line CRM (software) - Ask any real estate agent how large their buyer pool is and they will tell you ... "I have a lot of people who are looking to buy a home right now." You need to simply ask them to prove it! Say "Show me your buyer pool," and specifically the ones that you will target as prospective buyers for my home. My degree from West Point is in Computer Science, and it helped me to develop a proprietary system for capturing the most-likely buyers for your home (and we will show it to you when we interview for the job of selling your home). Remember, the larger the pool of buyers for your home, the better chance you will sell, and sell for top dollar. An Integrated Team Approach - For top dollar, you must hire a real estate company, not just a real estate agent. But that is not how 99.99% of real estate companies work. All of their sales people are independent contractors, and that means they are operating as a "business within a business." Each agent must master marketing, administration, sales, research ... etc. How can one person do for you as well as our company where each employee has a specific job function to ensure that nothing is missed? If your single agent is meeting with another home seller, who is performing the 5-minute response to the excited buyer who wants to see your home? Who is executing the daily content marketing plan that will drive internet buyers to see your home online? And where is their proprietary system for delivering the most buyers possible to your home? The fact is that the internet has changed the way that we sell a luxury home in today's housing market. If you think you might be considering a sale of your home and want to know how you should prepare, just drop me a note and we will schedule a time to meet with you and show you how you can get top dollar for your luxury home. How Is Market Time Defined In Real Estate?